McKenzie Associates is proud to announce that our client Christopher Wollaton will be taking his fantastic one man play ‘Brawn’ to the world famous Edinburgh Fringe show from the 20th to the 25th of August. His one man show is a brave, raw, and emotional piece of theatre that focuses on a sole character suffering from body dysmorphic disorder. His serious mental health issues result in an illuminating performance that will stay with the audience for a long time. In the modern age, young adults are increasingly concerned with the way the look, and social media images do little to help them. 'Brawn' highlights the anxiety felt by a young man surrounded by a culture that is obsessed with self-image, and shows how his obscenely strict gym routine is taking over his life. 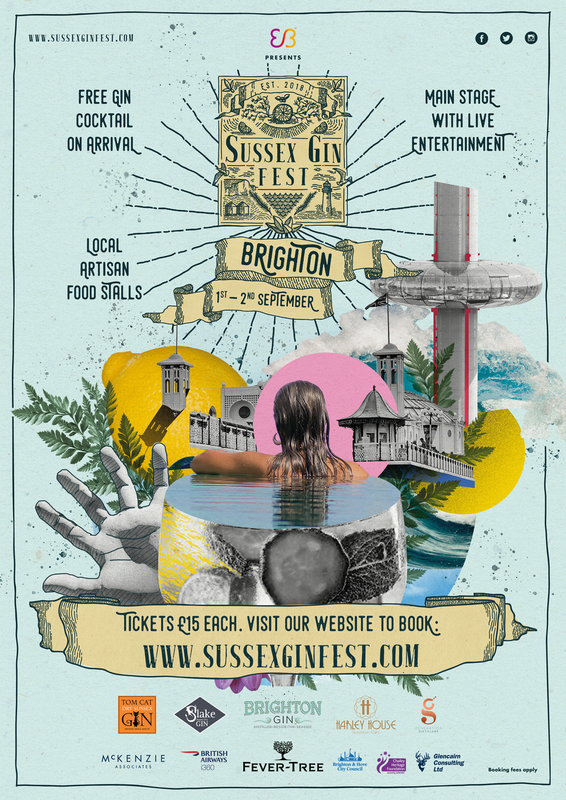 McKenzie Associates are thrilled to announce that we will be sponsoring the main stage at the Sussex Gin Fest happening in Brighton next to the i360 on September 1st and 2nd. This juniper-infused endeavour will consist of lots of Sussex gins, artisan food, and plenty of entertainment! 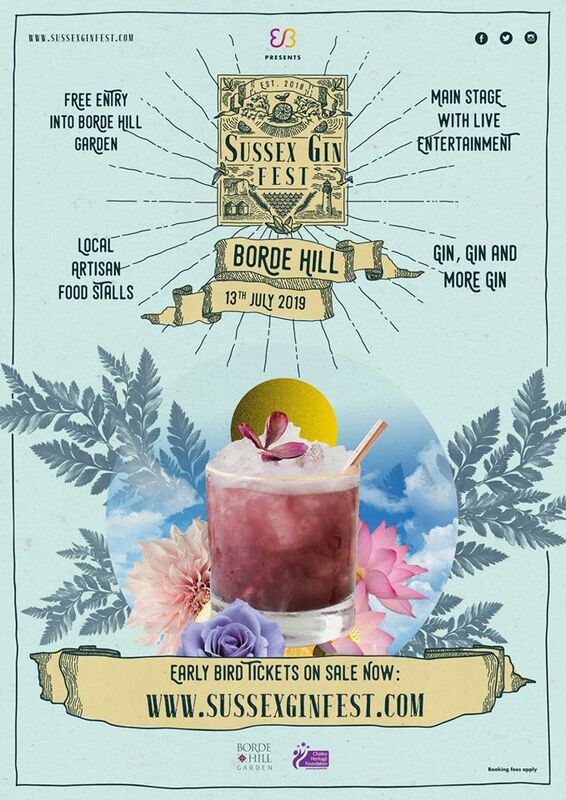 Sussex Gin Fest is the perfect way to mark the end of summer with a cocktail or two. There will be live cocktail demonstrations as well as gin tasting, and a free gin-based cocktail on entry! All entertainment for this festival has been sourced by McKenzie Associates, and we are happy to say that The Sundaes will be performing alongside some other special guests. So far, five of the best Sussex Gin brands are on board, with more to be announced soon, so why not join us. Premium tickets are available, which will cost just £5 more, and will grant holders a flight on the i360 on the day of the festival. Tickets are on sale now, and you can purchase them by clicking here! McKenzie Associates is thrilled to announce the return of Brighton Family Panto, and we cannot wait to be involved once again! With a little help from a few magic beans, we’ll be bringing the family magic of panto back to Brighton. Christmas isn’t Christmas without a panto, so head down to the Hilton Brighton Metropole between the 20th and 29th of December for what promises to be a magical show! The show will be bigger and better than last year, and we cannot wait for you to see it. We will be doing more dates, more shows, and seating more people than last year. Our performance run will also consist of 19 showings, with Christmas Day excluded. The Christmas Fayre will also be returning for 2018, so head down early and grab a bite to eat, and enjoy a wonderful family day out. We can’t wait to see you all there! Tickets are on sale now, and you can buy them by clicking here. Not only are we passionate about celebrities, but we're also passionate about running and fundraising. The team from McKenzie Associates achieved their best ever result at The Grand Brighton Half Marathon Corporate Relay. 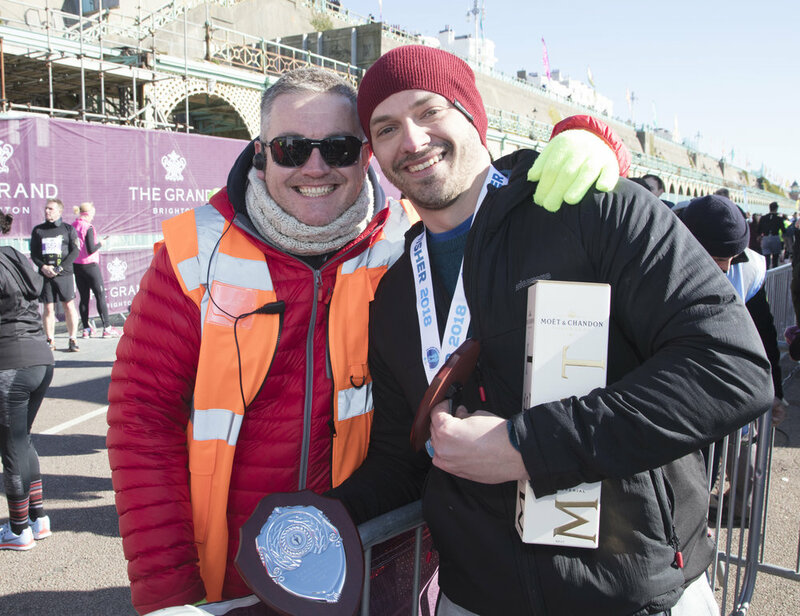 With fierce competition from other teams such as British Airways i360 and The Brighton Academy, McKenzie Associates came a magnificent second overall. From left to right, our team comprised of Paul, Lukas, Gus, Danilo, and Lloyd. With the results in, McKenzie Associates were only beaten by The Focus Group, a team comprised of extremely keen runners, and a company who has over 300 employees. At McKenzie Associates, we have a slight size disadvantage, as our entire team is comprised of only 9 (soon to be 10) people. The Focus Group lead the way quite significantly, with a time of 01:26:28, whereas McKenzie finished with a time of 01:43:22. McKenzie Associates finished the same event in 2017 fifth overall, and with a time of 01:57:59. We are extremely pleased to have moved on to the podium for 2018, and slashed our overall time by almost 15 minutes. Our small team is aiming high, and next year we hope to finish in an even quicker time. 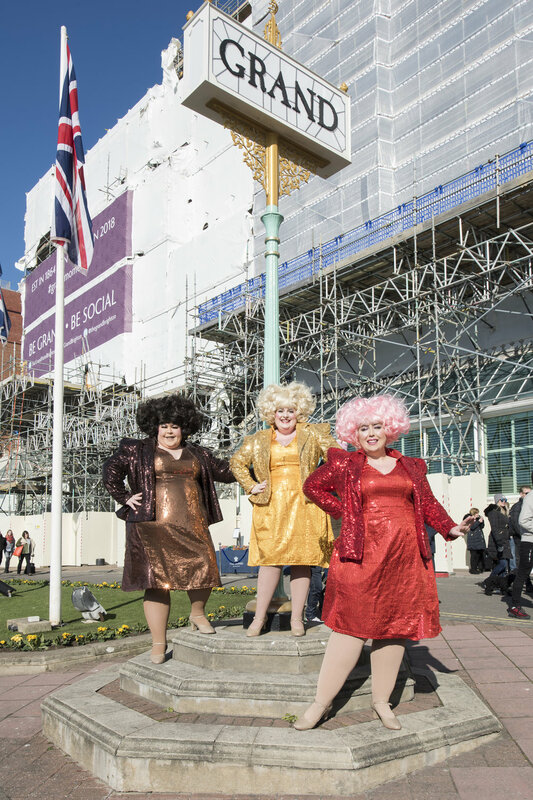 McKenzie Associates were also involved in organising some entertainment for the event, as one of our managed acts ‘The Sundaes’ performed outside The Grand Hotel. We also organised to have people on stilts at the start/finish line greeting the entrants of the Kids Mini-Mile. Overall, the day was a roaring success, as well as a success for McKenzie Associates’ involvement. We look forward to being involved again for 2019. Competition and business aside, the reason behind organising The Grand Brighton Half Marathon is to raise money for The Sussex Beacon, a magnificent local charity in Brighton that helps men, women, and families living with HIV. McKenzie associates also came second in the fundraising competition, raising a fantastic £925, only bettered by The Focus Group. McKenzie will return to The Grand Brighton Half Marathon next year, and will once again book a place in The Sussex Beacon Corporate Relay. We hope to out-do ourselves both in terms of overall time and fundraising amount, as The Sussex Beacon is such a wonderful cause. See you on the start line next year!